My literary PIC, Stephanie Pellegrin, and I were featured on Texas extraordinaire and uber awesome author, Joy Preble's blog a few weeks ago and wanted to share it here. We chat about books and our crazy experience with Suzanne Collins! Today I’m chatting with two of my favorite Austin folks: writer/blogger Stephanie Pellegrin and librarian/blogger Jen Bigheart. And yes, that’s her real name! I first met Stephanie at TLA in San Antonio in 2010. Dreaming Anastasia had been doing well, and Sourcebooks had asked me to come sign at TLA, which was awesome. So I’m sitting at the Follett booth, which is right near the main entrance to the exhibit floor, getting ready to sign. The doors open for the morning. And this horde of librarians thunders wildly toward me, hundreds of librarians full steam ahead, flailing muppet arms and swinging book sacks… and then thunders past me to get tickets for Suzanne Collins. Think of this story when you read Stephanie and Jen’s answers to favorite author stories below. I met her that very same day, by the way! My signing line was also very long. But no one thundered. As for Jen, we’ve been running into each other for a couple years now, introduced by Maria Cari Soto. Jen is smart and funny and awesome! And does amazing things like support literacy causes and arrange a happy hour at ALAMW for like 100 people! On with the interview, and JB is me! JP: What inspired you to begin blogging about books? JP: Talk about your own blog: what is its focus? Do you review books you don’t like? Do you interview authors? Do you post about other things besides books? How did you develop that mixture? JB: I review young adult and middle grade literature, as well as host authors for interviews, giveaways, and guest posts. I have been reading children’s literature at a steady pace since my oldest was in elementary school and when I read voluntarily, that is what I turn to. The theme of my blog when I was in library school was “banned books.” I kept the name, I Read Banned Books, and continue highlighting “banned” or challenged books. Texas challenges the most amount of books than any other state - by far! I have information about intellectual freedom and resources for a parent, consumer, and/or librarian. I mostly stick to YA with an occasional middle grade read, but I must say how much I miss reading picture books. I used to keep up with all of the latest releases and now, I just don’t have time. I think I may need to rethink that. I do not shy away from posting less than favorable reviews. I am sure to address all of the important literary elements, such as plot, characters, setting, ect when reviewing a title. I always point out what I liked and then what fell short in a story. If I find myself not saying much on the bright side, I don’t publish a review on the blog. I try to remember that not every book is a favorite of mine, but it may be a favorite for someone else. 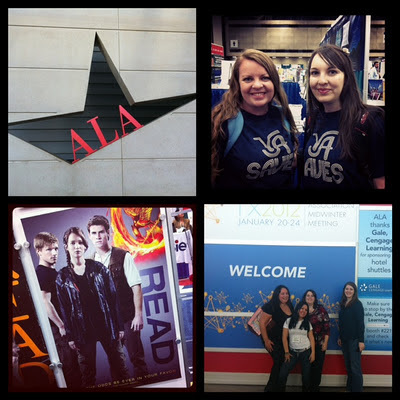 JP: Talk about your experience with the Texas book blogging community, author book signings, conferences you’ve attended like ALA or Texas Festival of Books, the various young adult conferences like Houston Teen Book Con or Austin Teen Book Festival, trade shows like BEA, etc. What’s the most fun and why? What encourages you to keep coming out to these events? SP: I couldn't ask for a better community. Seriously. I moved to Texas four years ago from a small Mississippi town where there is not literature community, YA or otherwise, so to move here and be a part of all this was a little overwhelming at first. My friend Jen Bigheart and I cofounded a group called Literary Lonestars on Facebook, it's a group for Texas bloggers and writers to get together and talk about books, upcoming signings in Texas, etc. When we started it I thought we'd get maybe 50 people to join, but we now have over 900 members and our Texas blogger list is growing every day. I've been to pretty much every book related event in Texas, but I have to say TLA is always my favorite. It's amazing to be able to be around so many literate people who share the same love for the written word as you do. JB: We are so lucky to have a fantastic literary community in Texas! This includes writers, book sellers, festivals, and awesome bloggers. 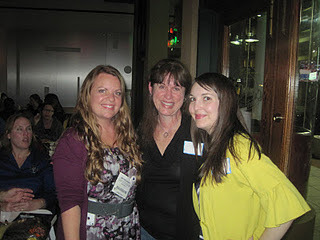 Back in December 2010, I started to keep a list of YA/Kidlit bloggers in Texas. During the same time, Stephanie Pellegrin, an Austin writer, and I started Literary Lonestars so we could keep Texas in the know about all of the awesome events that happen in the Lonestar State. Today, there are 81 of us bloggers! Each one of these people has a terrific blog and I am happy to know them. Every day I am amazed at the support we give one another. TLA is the largest state-wide library conference and the dedication those librarians put into a yearly conference shows. They bring the best speakers, authors, workshops, and publishers every year. This year, Judy Blume will be in attendance! Hands down, this is one of my favorite vacations of the year! The other is the Austin Teen Book Festival. Heather Schubert, a MS librarian here in Austin, has poured her heart and soul into connecting Texas teens with their favorite authors. With the help of the Austin Public Library Friends Foundation and Book People, every year is bigger and better. This event is now the largest teen book festival in the country. I am over the moon to have served on planning committees for both TLA and ATBF. 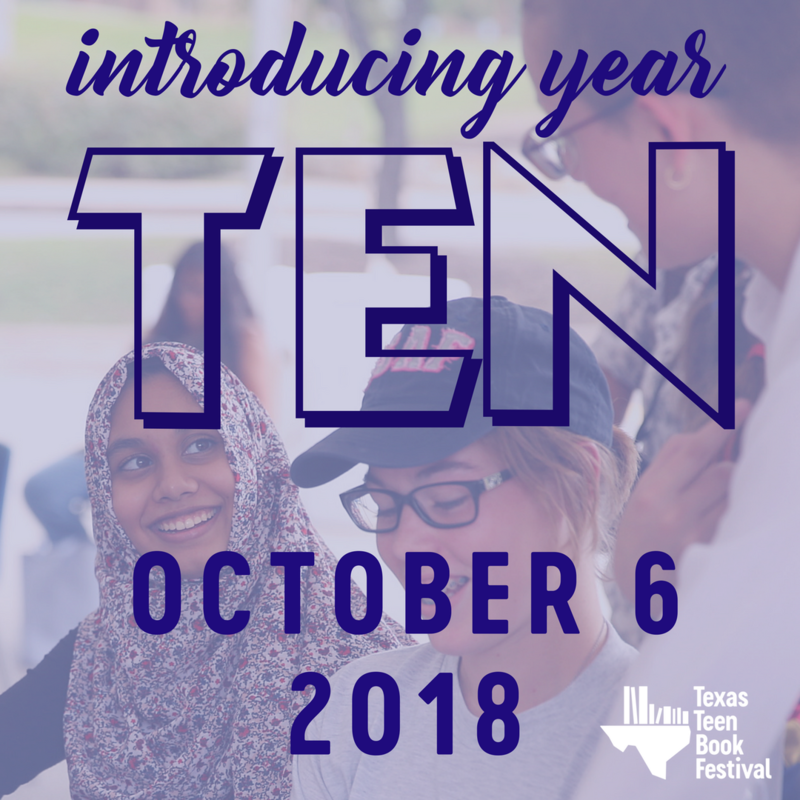 Texas Book Festival, YAK Fest, Montgomery Teen Book Festival, and Teen Book Con are also amazing events that draw terrific crowds. Each one of these events gives us Texas bloggers a chance to get together and talk shop. I try to host a get together at each event and we have 70 bloggers, authors, and book lovers coming to the ALA Midwinter meetup this month. Update: we had at least 75! JP: If someone asked you why supporting books, booksellers and authors is important, what would you say? SP: As a former bookseller and a writer, there are many reasons I'd give for supporting, but to condense it down: Literature is the foundation of life. Without books, I seriously believe our society would crumble. JB: Regardless if you think the world will go digital and printed books will be obsolete one day, literacy, the ability to read and write, is a ticket to freedom. I’m pretty sure I just quoted Oprah, but she is correct! Think about all of the things you read in a day that aren’t in books or magazines. Yeah, you get what I’m saying. I support authors and booksellers so I am not limited to reading prescription bottles or nutritional information on food labels. I want to escape in a book. I want to see myself in another character. I want to read about boys from the wrong side of the tracks falling for girls whose father owns those tracks. I can’t get that from a bottle of pills. JP: Any favorite author stories? JB: I’ve been lucky enough to attend some great dinners, receptions, and parties at library conventions and book festivals. I think my first I-might-faint moment was when Suzanne Collins came to TLA in 2010. I raced down those escalator stairs and ended up being #2 in line to meet her. Right alongside me was Stephanie Pellegrin and Heather Schubert. Lol! I read The Hunger Games when it was released based on a review by the awesome Stephen King. He said it would be a hit, and well….we know the rest of the story. My other favorite author moment was being invited to a dinner with Katherine Tegen and Veronica Roth last year at ALA Annual. It was a small, private dinner with librarians from all over. I couldn’t believe that the year before I was in library school and only 365 days later, I was eating dinner with people I could only dream about meeting. Icing on the cake? Driving Veronica, Katherine, and her editor Molly back to their hotel in my Bigheart Bus with “Does This Car Make My Books Look Big?” painted on the back window! Priceless! Thanks so much, Stephanie and Jen!! I am glad we got to share our three-way story about Suzanne Collins! Check out Joy Preble's books on Goodreads and add them!